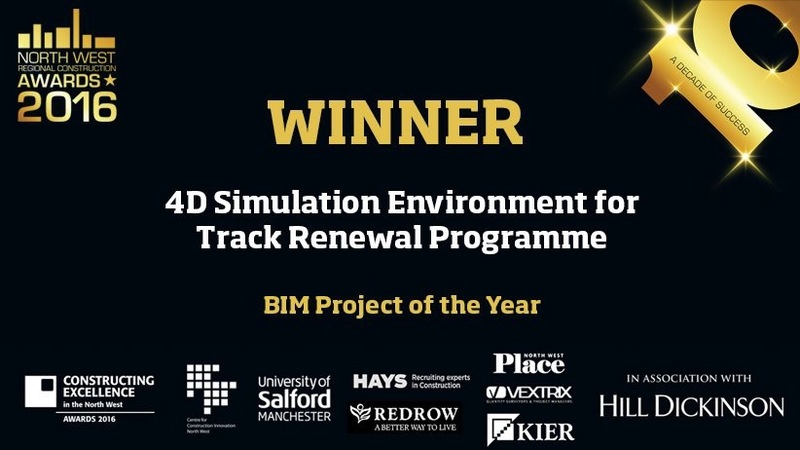 DIGITA L technology from the University of Salford is proving a game-changer for the planning of Britain’s rail network upgrades – and a prize-winner! Network Rail has signed a new contract with the University to roll the technology out across the country after successful series of trials. 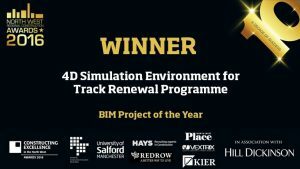 The revolutionary 4-D simulation developed with S&C South Alliance, has received a host of plaudits including winning BIM Project of the Year at the North West Regional Construction Awards, held on the 30th June 2016. The Director of THINKlab at the University of Salford, Professor Terrence Fernando said: “We are thrilled that our long-term contribution to Network Rail’s work is now having a real impact on the business at a national level. The inability to effectively schedule works on complex sites was a major factor in projects overrunning. THINKlab technologists helped Network Rail create 4-D simulations, meaning the tool can be is used for visualising and scheduling of tasks to the minute over a time period, allowing them to run different scenarios for pre-work briefings and post-work evaluation. Network Rail has now created a steering committee involving senior staff, to work with THINKlab to ensure the 4D simulation environment becomes an integral part of Network Rail future track renewal programmes. 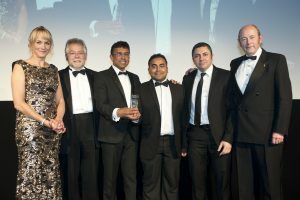 THINKlab will now be put forward to the Constructing Excellence National Final, which will take place later in the year. See how the package works in this company video.